You have found the perfect beach getaway! 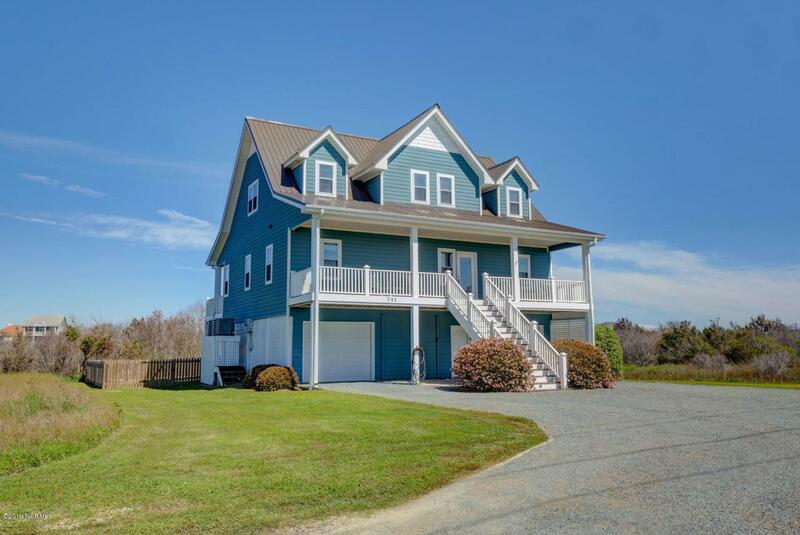 Enjoy the fresh air and views of the ocean from the spacious front porch and sunsets over the ICW on the back porch. Bamboo floors welcome you to this home featuring 3 bedrooms and 3.5 bathrooms. Upstairs features a large family style room the current owners used as a guest suite. Beautiful new stainless steel appliances and granite countertops make the spacious kitchen a wonderful gathering spot. The lower level features a large outdoor shower and garage. An access is just across the road making your walk to the beach a short one. The large 1.15 acre lot gives you room to roam and has water access! Enjoy your piece of Topsail Island perfection! Listing provided courtesy of Danielle Williams of The Oceanaire Realty.